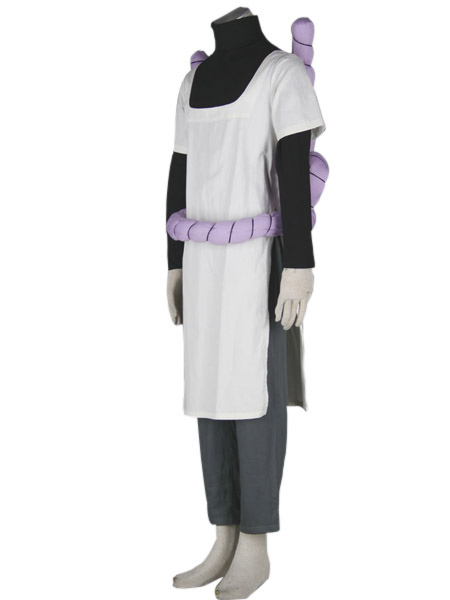 Naruto fans will instantly recognize this costume as belonging to one of their favorite characters. 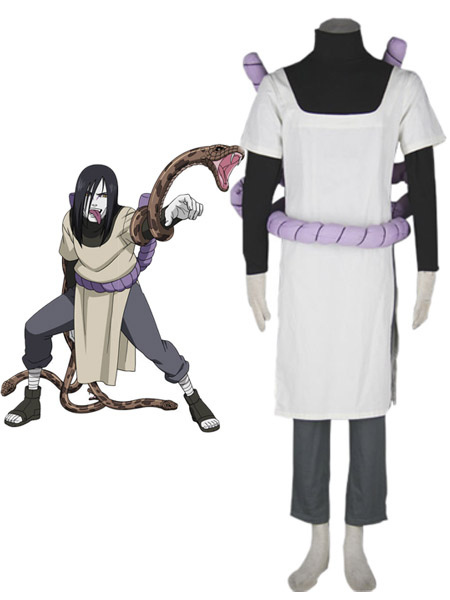 The base of the outfit features a long sleeved turtleneck top and long trousers. 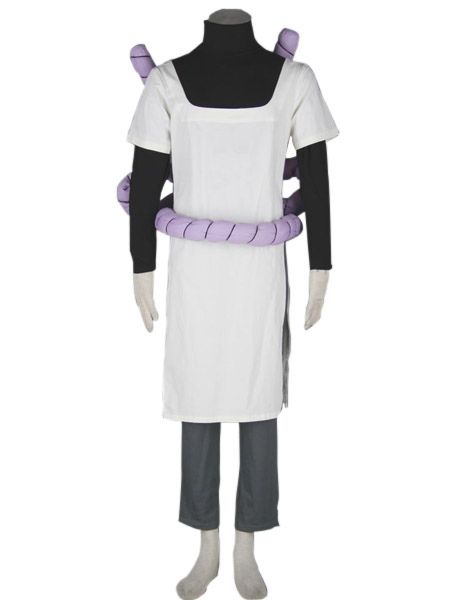 A smock style short sleeved top is worn over the outfit like an apron. 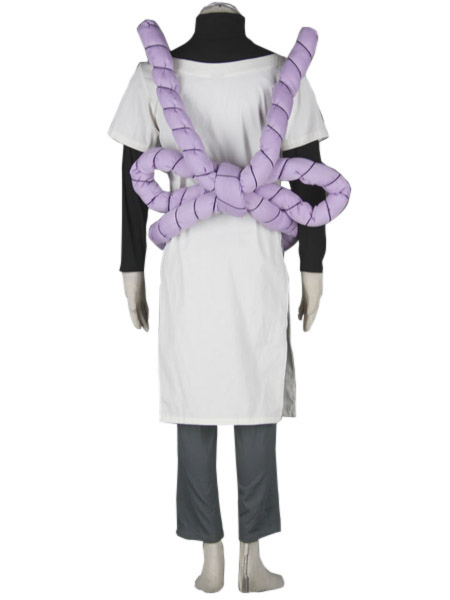 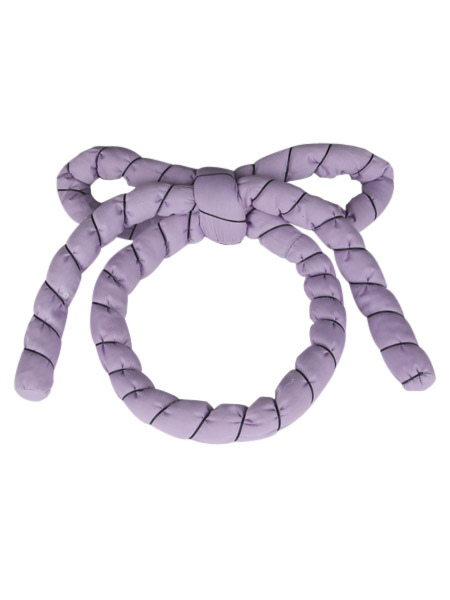 A puffy purple wrap surrounds the midsection of the costume and ties in a large bow in the back. 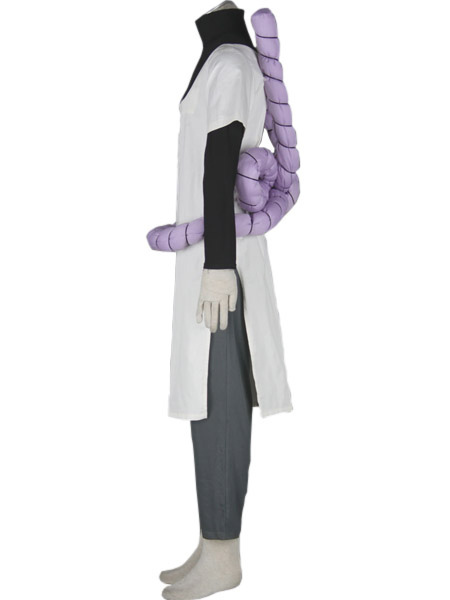 This great costume would be ideal for anime conventions or other Cosplay productions.